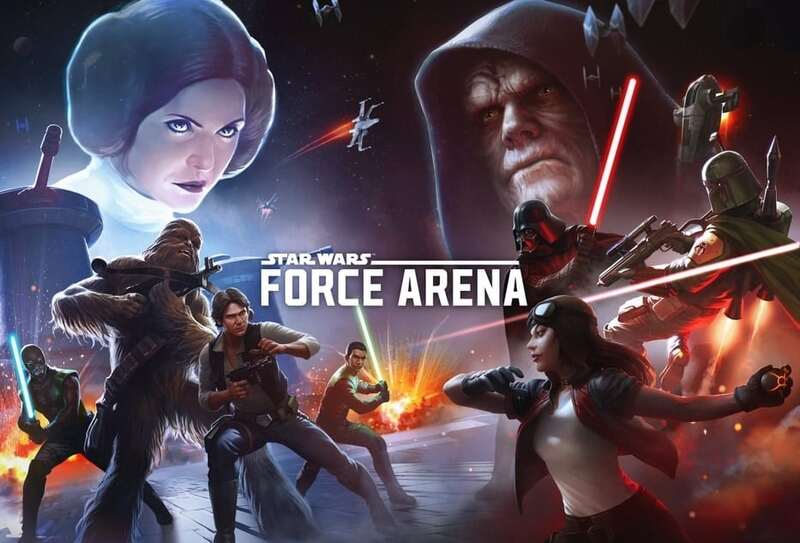 Star Wars: Force Arena is developed by Netmarble Games, and requires you to team up Stars Wars characters, build the perfect deck and lead your team into real-time battles against other players. The collectible card game (CCG) is developed for Android and iOS platforms, but with an Android emulator, it can be installed on a PC. The aim when playing the strategy game is to get to the leaderboard and win the top prizes. The game will provide you with some free heroes which can pretty get you started. These free heroes are not quite powerful, and so you need to collect some stronger characters. You can earn stronger heroes by completing missions or just performing the normal play. At the start of the game, you will a basic deck of cards and you will be forced to make use of it to progress. But as you continue playing and completing missions, you will be able to upgrade your cards and build a stronger deck. You will also have an option to buy cards from the shop with credit. When upgrading cards, you need to focus more on cards that can help you win many battles. If you have some cards that you don’t need, you can exchange them to acquire some more useful ones. But the most important thing is to have a good balance of cheap and expensive cards in order to have both low-cost and expensive troops in your deck. As far as gaining cards is concerned, you can gain Victory Pack, Free Pack and Play Pack after you win battles. When it comes to buying the cards, you can use the game premium currency- crystal to shop for these elements. But it is recommended to start using crystals when you get to the higher levels of the game. Instead of subjecting your heroes to powerful opponents on the go, you can first compete with AI opponents to know the strengths and weaknesses of your characters. There are no goals to achieve in the training mode, so you can play around with everything to understand your fighters. The game offer you two types of missions- basic and special missions. When you complete the basic missions, you get a chance to unlock new heroes and stock up enough of them to use later. On the other hand, completing special missions earns you rewards that you can use to boost different elements of the game. Having a good defense is quite important in this game, and so you need to focus on playing defensively. You will be able to keep many of your heroes alive if you stage great defensive mechanisms. You will find it easy to maintain a strong defense with things such as turret, structures and lane changing elements. Using an Android emulator is the sure way to install the CCG on your MAC, desktop or laptop. This type of emulator allows you to access the game app on your PC, install it and play the game directly from your computer. 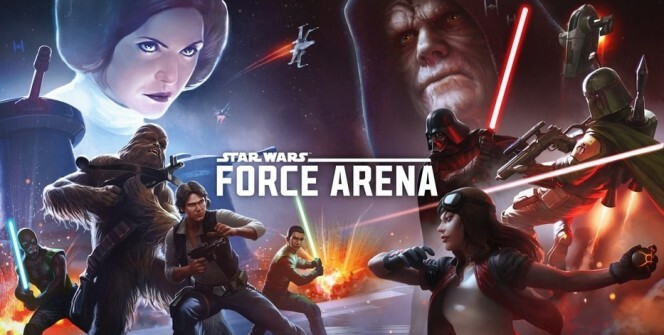 Warning: Star Wars: Force Arena servers shutted down and it’s removed from iOS and Google Android Stores! 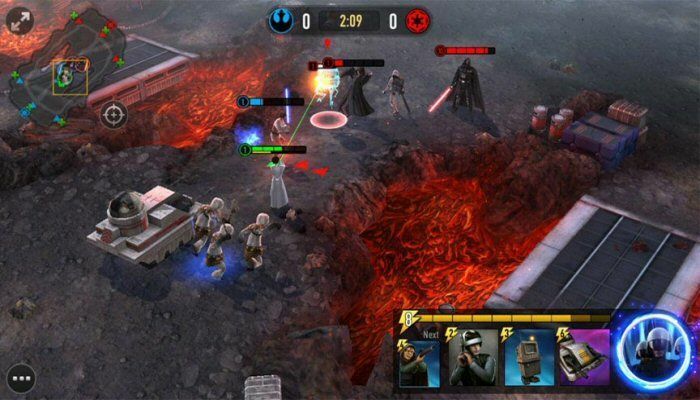 You also can try out Star Wars Galaxy of Heroes for PC. Sometimes when playing Star Wars: Force Arena, bluestacks ask you fee to pay but gives you option to download some apps. Every time it asks you just select “Install apps” and continue using it free. I hope you enjoyed this article, please rate and share. If you have problems running Star Wars: Force Arena on desktop or any other issues, leave a comment below.